A handy guide for choosing the right stainless steel alloy for your next manufacturing project. Need help picking out the right alloy of stainless steel to use for your upcoming project? There are hundreds of different types of steel, each possessing their own set of unique characteristics. To help streamline your decision-making process, we’ve assembled a little cheat sheet comparing the key characteristics of the most commonly used stainless steel alloys. 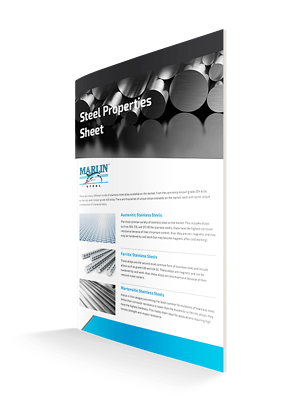 Download the guide today for a quick and easy reference that you can consult when picking out the right stainless steel alloy for your manufacturing projects. Simply fill out the form to receive your guide!